I know, I know, this series started as my travels to visit the other West Toast staffers over this summer for spirited adventures, but I would not be a good West Toast writer if I did not bend the rules! This week I trekked to the nation's capital on a business venture and, of course, I had to try something new...ish. My colleague had not been to DC, so we decided that the best thing was to take the very little time we had to ourselves and trek about the mall. We started with the Capitol building and worked our way along from there to several museums, monuments, and memorials. I had not been to the National Museum of the American Indian, and I highly recommend! Lots of beautiful artifacts, clothing, photos, and history - and a relatively honest look at the relationship between the government and the native people of this continent. Also, the Mitsitam Cafe there offers a variety of amazing dishes. Offerings such as plank-roasted salmon, oysters with corn cream, or pheasant croquettes are either made from native recipes, or are modern twists on old ingredients. Rainbows graced the walls, and everywhere I looked there were medicine wheels. Primitive canoes and the four directions - beautiful! After walking for many hours in the heat and humidity (we are but poor Oregonians who are used to temperate weather - oh! how we suffer), we headed away from the Mall to get a drink before meeting my cousin for dinner (it was great to see you Melanie!). We took the Metro to the Gallery Place/Chinatown area and started a good wander. We had not gone far when we found Clyde's at 7th and G.
I was drawn to the old-world style of the outer facade, which stands in stark contrast to the modern building in which it is housed. The interior was reminiscent of a Victorian parlor with beautiful stained glass lamps, and wooden paneling. We parked ourselves at one of the many bars in the establishment and ordered up. I was impressed with the wide variety of liquor at the bar, and scanned to see if any of the vodkas I'd been tasting were available. Upon reading the very creative and interesting cocktail menu I saw that they offered a drink that included the same Pinnacle Whipped Vodka I wrote about during my visit to Petaluma. I was not interested in this cocktail however as it included orange juice, and I imagined that it would taste something like a creamsicle. I know that most people's childhood memories include this frozen treat, but I have never, ever, been a fan. I thought about just having the vodka on the rocks, but decided I needed to give it a twist, so I ordered the cocktail from the menu without the orange juice, essentially ending up with Pinnacle Whipped and Grand Marnier. The net result was fabulous! In case you are not familiar with Grand Marnier (which I was not), it is a French blend of cognac and orange bitters. I found this to be in wonderful balance with the sweetness of the Pinnacle, creating a bite that had just a hint of orange in the finish. I gave my colleague Nick and taste and he described it as 'spiked cream soda.' All in all I was very pleased. Nick and I also sampled two other cocktails from the menu - both utilizing basil to a wonderful effect. Nick chose the Hendrick's Basil Bash, a combination of Hendrick's Gin, simple syrup, sprite, lemon, lime, and basil. I found this to be beautifully balanced in flavor - the tart brightness of the citrus mixed well with the cucumber cool of the gin, while the herbal nature of the basil accented the floral notes. The only criticism I had was that it was served in such a small quantity! I had the Strawberry Basil Lemonade - Bacardi Dragon Berry Rum, simple syrup, lemon, basil, fresh strawberries, lemonade, and Sprite. I was familiar with all of the elements of this drink save one - dragon berry??? Really I figured that this was some gimmick that Bacardi had dreamed up to be fun and fresh and sell more rum, but no, it is indeed a real fruit - kind of. 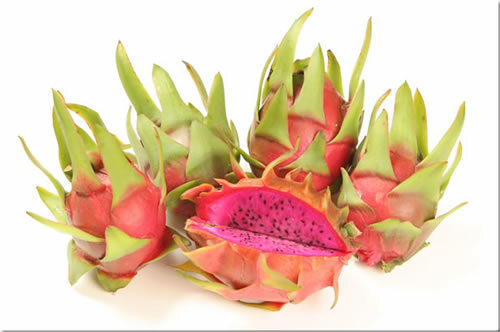 The real name is dragon fruit, and it is reported to taste similarly to a kiwi. Regardless of whether or not I could look the damn thing up on my smartphone, I did not detect any flavors in the beverage that hinted at kiwi, or dragons, or anything other than a sweet strawberry front and a tart lemon finish that was accented by the aromatics of the basil. Despite the lack of dragony goodness in the drink, I loved it! Honestly there needs to be more basil in sweet things in this world! 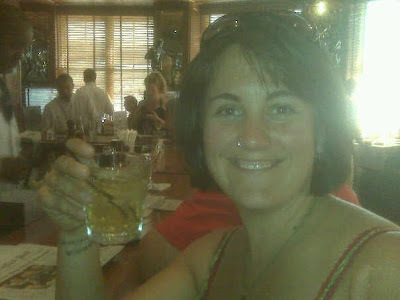 So for cocktails I give Clyde's at Gallery Place two thumbs up! BTW - there are 13 locations where you can get this same drink menu in the area, so be on the lookout!! !